VISITORS to Holker Hall and Gardens are set to benefit from an amazing new season ticket deal. Holders of a ticket can visit the hall as many times as they wish – and also get free access to some of its most popular events. Priced at just £35 for an individual ticket or £55 for couples, the offer represents a significant saving and value for money. Available to purchase from 15th March, each season ticket includes free return entry to Holker Hall and Gardens during the opening months, access to all free planned activities on site, plus free entry to the Spring Fair, Chilli Fest, Winter Market and Christmas at the Hall. Visitors can also take advantage of a new annual pass for 2019. 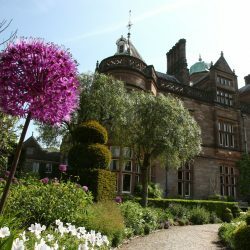 Single ticket entry to Holker Hall and Gardens costs £13. But a pass will cost just £18 per person and includes free return entry to the hall and estate throughout the year. Both the season ticket and annual pass can be purchased during a first visit to Holker Hall and Gardens or at any point during the season. They are valid throughout 2019 within public opening times.